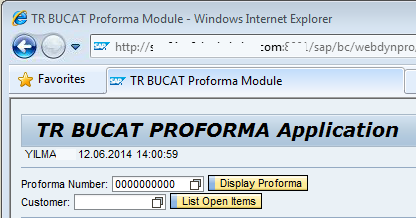 To set page title in a Web Dynpro application, ABAP developers should set the description property of the Web Dynpro application which is created for the related interface view. Web pages are formed using Windows in a Web Dynpro component. And a Web Dynpro window is served to web after a Web Dynpro application is created which is consuming that window as the interface view. So an application can be thought as a link between the Web Dynpro window and web page displayed on the browser. In short to set web page properties like title meta tag, set the description field on the web dynpro application for that window. This tutorial shows how to set page title displayed on a web browser tab for a Web Dynpro application. 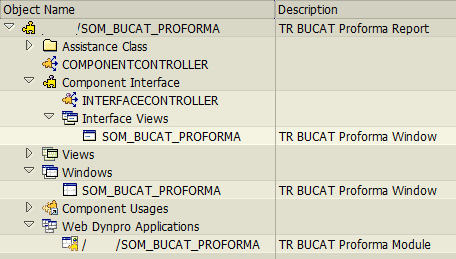 If ABAP developer does not explicitly set description for the Web Dynpro application which is the web page title for a window, the default displayed page title is the name of the Web Dynpro component itself. Let's first start by examining the SAP Web Dynpro component structure. To do so display the Web Dynpro component objects in a tree view display as follows. Do not forget! Web pages are Windows in Web Dynpro and served by using Web Dynpro Applications. Display the Web Dynpro Application by double-click on it on the object tree of the component. 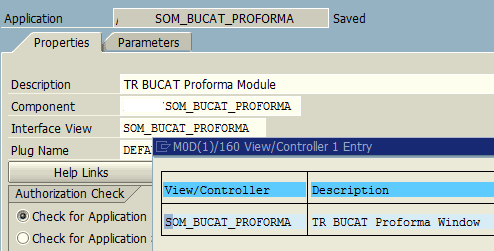 Component and Interface View determines which component window is served through this application. Switch to Change mode. The Component is the current WebDynpro component so leave it unchanged. Press F4 or check possible entries for Interface View input text. If the selected Interface View is for your Window to set the web page title, edit the description text of the Web Dynpro application. In short, to set web page title for a Web Dynpro component set WebDynpro application descriptions. Here is the result after Web Dynpro application description is updated with a meaningful text where displayed on the web browser tab as the page title. If you experience problems you can delete the Web Dynpro application created in the component, and check if the service is deleted on the SICF transaction as well. Then you can re-create Web Dynpro Application with the desired description text for the web page title. After you do these steps, you can test SAP Web Dynpro component and see the web page title is updated. There is title property of Web Dynpro component windows, but setting the title will not update the page title. As similar Window description property, component description or view property settings are useless when trying to set page title displayed on the web browser.